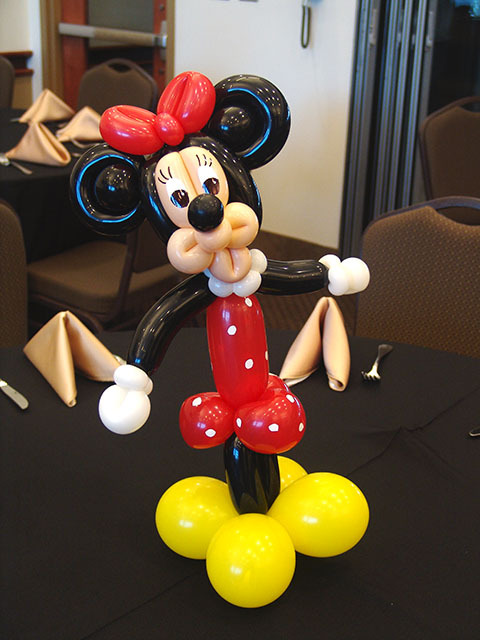 Minnie Mouse balloon centerpieces are Cute! 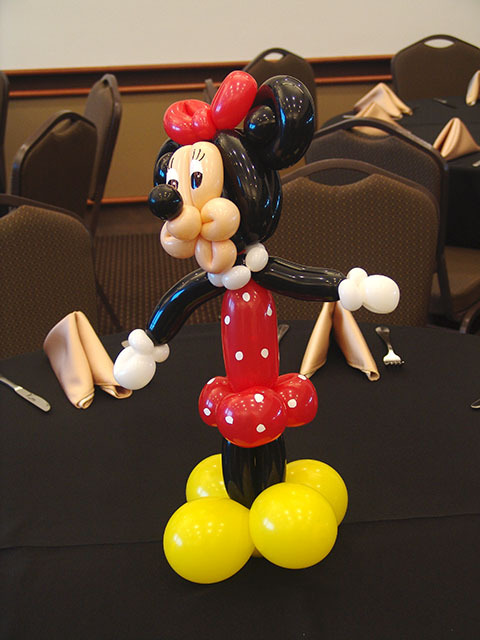 We created this Minnie Mouse balloon centerpiece for a party held at Coors Field in Denver. 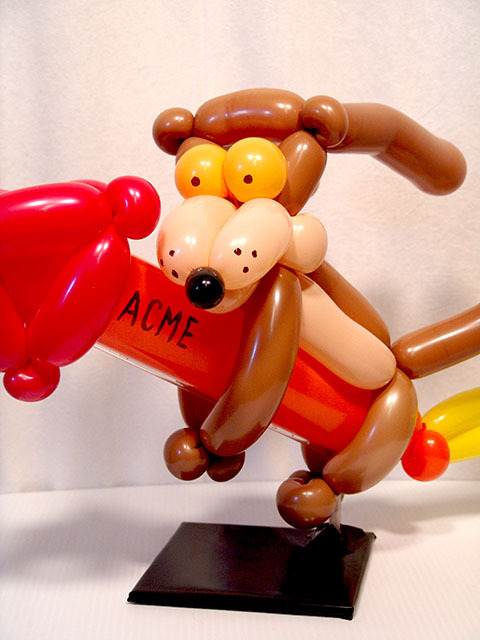 We can make all kinds of TV and comic characters into fun balloon centerpieces. We can deliver them to anywhere in the Denver and front range areas. Oh, No, what has Wile ‘E’ gotten himself into? 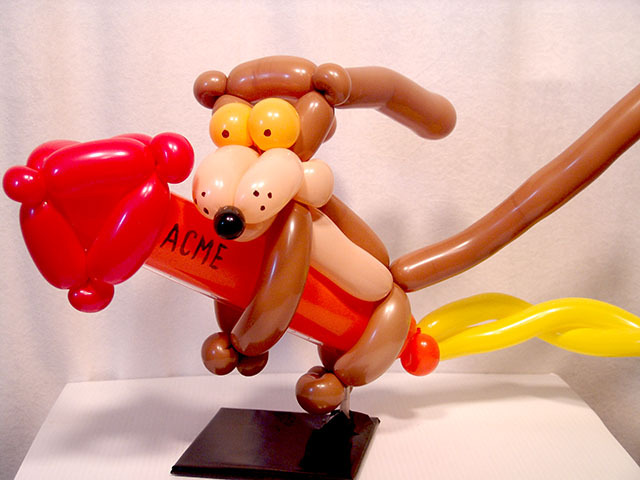 We can twist all sorts of cartoon characters for table centerpieces and deliver them to any Denver or front range location. If Snoopy is around, you know Woodstock can’t be far behind. We can make almost any kind of balloon centerpiece you can think of. We can deliver these custom balloon centerpieces to anywhere in Denver and the front range areas. We recently delivered some great balloon bouquets to the Hyatt DTC for Farmers Insurance Co. We can deliver any kind of balloons to any company event or party anywhere in the Denver area.